Affairs, Maj Gen Kahinda Otafiire, to draft a bill on electoral reforms and immediately table it before Parliament for discussion. Speaking in plenary on Wednesday, the Speaker said while delivering its verdict in the Amama Mbabazi election petition in 2016, the Supreme Court directed the government to draft a bill on electoral reforms but the Justice ministry has continued to ignore the directive. “ Obviously, I think, as usual, they expect to stampede this House. In that stampede, we might not make perfect laws. Maybe they do not respect his House. So even when we say ‘bring what is necessary’, they are not interested,” she said. Following the 2016 election petition, the Supreme Court made 10 recommendations aimed at creating reforms that it hopes will guarantee free and fair presidential elections in 2021 and beyond. In order to see that these recommendations are this time round put into action, unlike in the previous two presidential elections, the same court directed the Attorney General (AG), who is the chief government legal adviser, to follow up these recommendations and report back to court within two years on the progress. The move by the nine justices of the court, led by Chief Justice Bart Katureebe, to press the government on the electoral reforms this time, followed the push by a group of Makerere lecturers for the same recommendations, arguing that the previous ones had been brushed aside. The lecturers had joined Mr Amama Mbabazi’s petition as friends of court in which he was challenging President Museveni’s February 18 victory with the court giving its full and reasoned judgment on Friday. 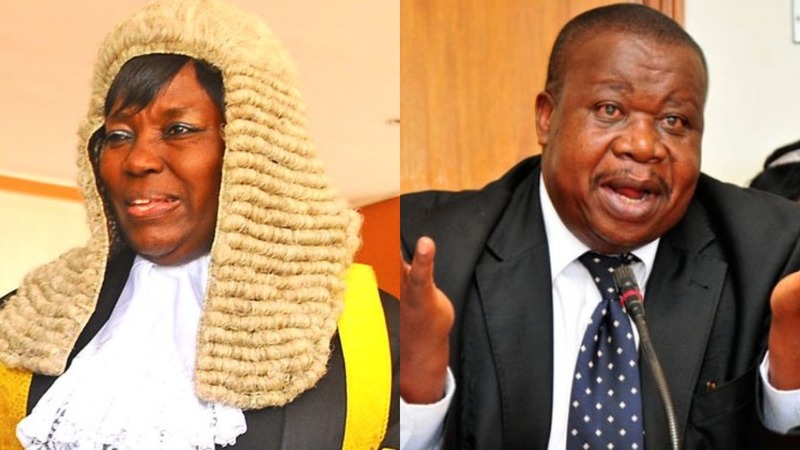 The full and reasoned judgment of the court was read out by Justice Jotham Tumwesigye on behalf of Chief Justice Bart Katureebe, who was out of the country. Core to these recommendations was that the 10-day period within which to file a presidential election petition and also gather evidence to support it and the 30-days period within which the Supreme Court is to determine the same petition is unrealistic. To that effect, the justices recommended that the law should be amended to extend the filing and determination period to 60 days to enable the concerned parties and court to adequately prepare and present their case.